I understand why some may feel that the statement above accurately reflects their sentiments. Afterall, conducting safety risk assessments is a leading indicator activity (a positive and proactive approach to safety), so constructively criticizing such a process can be difficult. When something is done with good intentions, it seems counter-intuitive to question how it is carried out and if it is adequately efficient. However, not resting on our laurels is the only way we can continue to pull every potential benefit out of a process. Believe me, you won’t find bigger advocates for conducting safety risk assessments than the members of our team. My intention is certainly not to dissuade the application of this amazing process. I merely want you to question why you are still conducting your assessments in paper. When almost every process in the corporate world is moving away from their dependence on paper, the safety world still seems beholden to sheets of loose-leaf. Up until recently, there really was no option to move away from paper and digitize your safety risk assessments. However, this is not the case anymore. So, you need to start thinking about how paper-based assessments might be exposing your people to unnecessary risk – despite their good intentions. There is virtually no ability for social connectivity when conducting assessments in paper. This leads to slowdowns, miscommunication and the missed opportunity for senior review and potential improvement of the intended approach prior to work commencing. Not only that, the lack of connectivity creates the perception among participants that they are implementing an exercise in futility. If there is no visible sharing of information and feedback, and there is a lack of transparency when it comes to if and when findings in the field are reviewed, accounted for and considered, those conducting the assessments (even if only subconsciously) will lose interest. Members of management who mandate these processes for those in the field to complete should only expect the equivalent level of commitment to the process that they themselves exemplify. If there is not a genuine interest in the findings produced by assessments at all levels of the organization, the quality of output (and, following from that, the quality of safety) will suffer. All of this is to say, passing pieces of paper around, from one place to another, whether via physical transfer, fax or email creates too much of a delay for everyone at every level to feel connected to and included in the process. Digitizing assessments will allow anyone you wish to be involved, at any level, to see what is happening in real-time, who is doing it and if they are doing things safely – all in one central repository. 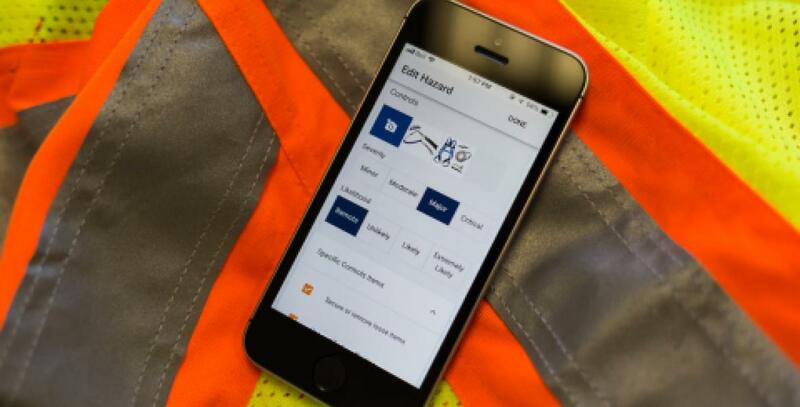 Now, instead of one person or a small group of people assessing a task for the level of safety, the combined knowledge and expertise of an entire organization can get involved, from wherever they are and as quickly as they can open the App – allowing for the most comprehensive assessment of safety since the inception of workplace safety values. This is the optimization of safety. Industry has stagnated long enough. It’s time to push the envelope and provide the resources necessary to empower people with the confidence that they will return home safely.